Grammar is a basic skill your child should master so they can communicate effectively throughout their life. If they could use a little push to make that happen, however, you can follow the tips below to help them work on their grammar skills at home. Reading will teach your child how to use grammar effectively by example. If they're not avid readers, however, you can encourage them to read more by offering them reading material that will speak to their interests. While reading helps them practice grammar in a passive way, writing will get them to work on it in a more active manner. Make sure your child writes a little bit each day, so they can develop their grammar skills, as well as their creativity and communication skills. Needless to say, good grammar is also needed to communicate effectively through the spoken word. That's why you should talk to your child and correct them if they make any mistakes regarding grammar. This has the added benefit that talking to them will help you bond more. Nowadays, it's easy to find online practice sheets, games, apps, and other material that is aimed at helping your child develop their grammar skills. Make use of them, so your child can practice and improve. 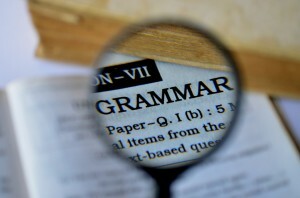 If your child requires assistance to master their grammar skills, turn to The Tutoring Center, Lake Forest CA. Call 949-273-3534 to learn how they can help them with one-to-one tutoring in Lake Forest CA.